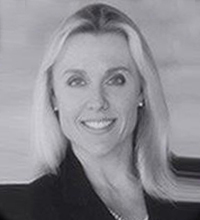 Kristina Novak joined Central Coast Landmark Properties in 2013 from Prudential, bringing her 30+ years of experience in Real Estate Sales of Fine Ranches and Estates, and a background in lending, to the team. She is also a professional horsewoman and has built her own horse farm from the ground up , giving her firsthand knowledge of the needs for Fine Ranch and Equestrian Farm properties. 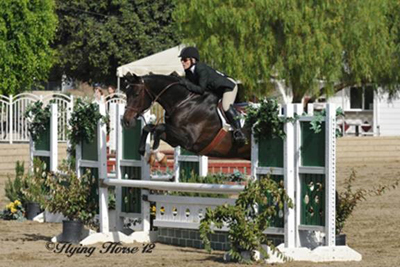 Kristina currently competes on the Hunter Jumper circuit and keeps her hand in the horse community. My wife Roni and I have known and worked with Kristina Novak in her capacity as real estate broker from about September 2014 to date. During this period, and with Ms. Novak acting as our agent, we purchased two houses, sold one house — each of which required some degree of major renovation prior to and/or after the purchase/sale — and rented several others, all in the Santa Ynez Valley. Each of these transactions proceeded smoothly; there were neither delays nor bumps from our side of the table. Ms. Novak tactfully and adroitly handled every issue — valid or not — raised by the opposite party. She quickly and fully communicated to us every issue asserted by any person involved in the transaction, and carefully showed us the most efficacious means of resolving the question in our favor; the inspectors she recommended prior to the purchases were excellent. Further, since each purchase/sold property required some renovation, we found Ms. Novak's contractor suggestions — all made to her at our request — to be fully satisfactory. This facet of her expertise and willingness to help (even after closing of the sale) was especially important in these particular Santa Ynez Valley transactions since we live several hours away, and do not have a knowledge bank for local costs, procedures, and merchants. In sum, we can state — without qualification but with full confidence — that Ms. Novak has singularly been the most attentive, reliable, successful and prompt broker in our history of buying/selling properties dating back to 1983." I recently bought a home in the Santa Ynez Valley. Kristina Novak was my agent. Kristina is professional, meticulous, smart, experienced and intuitive. Her mortgage banking background is a tremendous asset, as is her intimate knowledge of the community. Kristina is a clear communicator who keeps her client's interest in focus at all times. I would highly recommend Kristina Novak to anyone who is looking for an agent that is knowledgeable and thorough, but perhaps most importantly, an agent you can trust to get the job done, simply and cost effectively. Thank you so much Kristina!!" "Hi Kristina, Well...it has been just over a year since we have been living in our new home...and about 2 years since we bought our dream home, did some updating and renovation and moved in!!! Time flies!!! We wanted to take this opportunity to thank you again for everything you did to help us on this grand adventure!!! I am so grateful I met you and I remember the day I called you out of the blue for retired horse boarding...and you actually answered the phone immediately!!! A quality I admire greatly and one you have been consistent with throughout our relationship. We can't thank you enough for guiding us through the process of finding the right neighborhood, looking at homes, envisioning our future, and ultimately selecting the perfect property. You helped us negotiate a great purchase and the process of buying our home, with all the many details, was made simple. You provided contacts for everything we needed to renovate...and have continued to be incredibly helpful to this day. We could not have asked for a more professional and problem free experience!!! We love our home!!! We love living in Santa Ynez!!! Thank you again for everything!!! All Our Best,"
"I have now used Kristina Novak on the purchase/sale of three houses and I can't say enough good things about her! She has always been very professional, is extremely knowledgeable and willing to go above and beyond any realtor I have ever used in the past. She will work tirelessly to find just the right property you are looking for or representing you in the sale of your current home or property. You will NOT regret choosing this wonderful lady!" "Kristina, I can tell you that I do not get many letters like this. This speaks volumes to the service you are providing our clients. I am so impressed and proud you are part of my team. Keep up the great work! Sincerely,"
I recently told Kristina Novak that I wanted the contact information for her "boss." I then said, "This is a good thing!" My father and brother were both brokers and real estate agents back in the Midwest. I grew up with open houses, hearing offers and counter offers, rarely seeing my dad on weekends, yet enjoyed seeing a home with the family name on a sign in the front of his office. This experience gave me a taste of the life of a realtor, the impact on their family and more importantly, a sense of the best qualities to look for in an agent when we were looking for a new home. You should know that Kristina has been simply amazing. Her attention to detail, prompt return of my emails and/or phone calls and the follow through on every single question or concern I had, has been simply fabulous. The house we just purchased in Solvang began with an offer on the day after Thanksgiving, 2012 and closed on January 18, 2013. The speed with which the offer progressed and was accepted, the advice we got from her while nudging it along and the support during the process was not only professional, it was "right on" the money with expertise. I have some recent health issues which is one reason for the move out of LA to the cleaner air of Solvang. However, tackling the mess, dirt and debris left by the previous owners (outside the house in the side yard) was something I was dreading. Much to our surprise, Kristina got her crew in to clean up the inside and outside so that the house looked great when we arrived as new homeowners for the first time. She also discovered that one of the near-by properties for sale had been vandalized, so she has been leaving her truck and stopping by frequently to insure that our home was intact and safe for us. I know that these touches are not common and we have been impressed by her thoughtfulness and attention to detail. When I needed to switch the utilities, she got all of the contact telephone numbers together for us to simplify the entire process and switchover. Simply put, the genuine and professional interest of Kristina, her availability and her knowledge of the properties in the area have left us big fans, not only of her as a realtor, but also as a person. We have already referred a good prospect to her and they have already been up to look at property with her and were pleased. You have a winner in Kristina, and we wanted you to know what an excellent job she has done for us and more importantly, is obviously doing for your firm! Dr. George and Sandi Patterson"